A zoo of microorganisms at our homes!!! Absolutely right, there are numerous microbes dwelling in our rooms and spreading diseases and allergies slowly. The story of cleaning our homes and to be free from these unwanted guests will begin with the manner in which one takes care of upholstery and carpet. 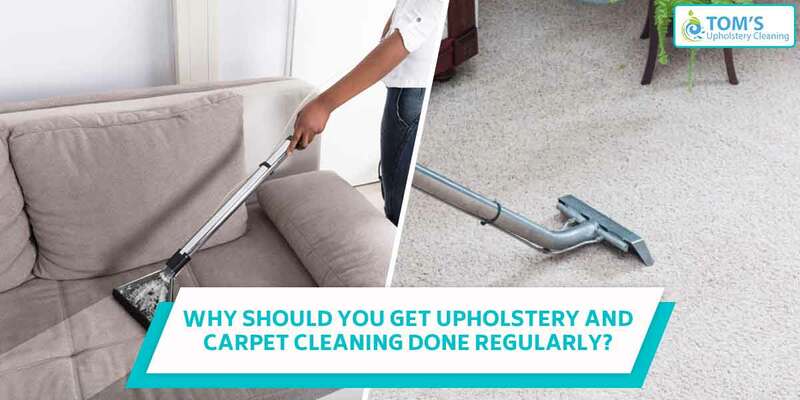 In this blog you will find out more about the most sought after services of Tom’s: Upholstery and Carpet Cleaning Melbourne. There are many competitors in the markets for Tom’s. However, our company has an edge over them in terms of being effective, drying quickly, environmental friendly outcomes and satisfaction delivered to our customers. One cannot tend to wash the carpets at home. Even if one tries to wash them in the washing machines, it will not be giving the desired results with respect to eradicating the dangerous particles and microorganisms like bacteria, fungus, virus, etc. Washing at home tends to give temporary satisfaction. It is necessary to clean the carpets deeply and be safe to the small children and pet animals. This is true to senior citizens also who are equally sensitive to their environment. Therefore, it is essential to prefer the dry washing process for carpet cleaning with the help of the large machines. Helps in the removal of the dirt particles, microbes, germs, grits, etc. What is the time taken by a Tom’s upholstery and carpet cleaning team to get done with your entire property? It generally takes only three to five hours, more or less with regards to the size of your residential or commercial space. Once the methods and tools for cleaning are decided, the cleaning does not take up a lot of time. Consequently, one may observe that the dangerous and harmful microbes and undesired particles are removed from our homes with the chemicals and dry washing in the machines for our upholstery furniture and fabrics used for the curtains. Thus, it is mandatory to utilize such services from time to time. This creates a hygienic atmosphere at home. Infact these services must be added in our planning routines and strictly adhered in the time tables for a good home. To get same day, on site services across Melbourne call us 1300 068 194.